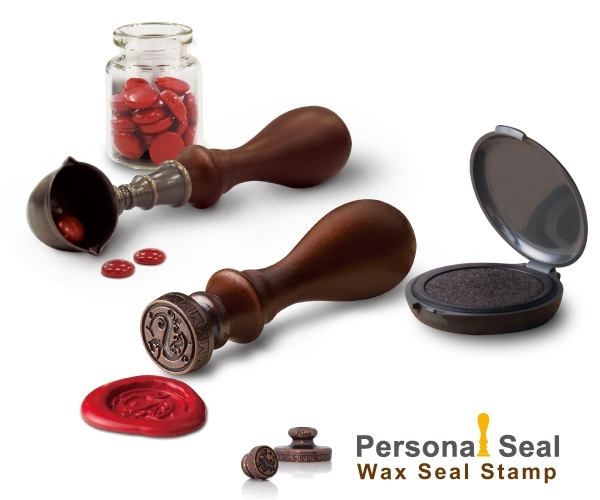 Shiny Personal Seal Pack comes with a genuine wood handle, interchangeable die and one Waterstons high quality Scottish sealing wax stick. Moreover, Shiny offers a selection of different changeable dies that include the plain one for your personal initials & designs. You could add a personal flair to your letters, gift wrapping, or invitations. Use a candle flame or a lighter to light the wick of your wax stick. wish to place the seal. Press your seal gently into the center. The release agent will make the separation of wax sealing much smoother.